Blues’ 15-match unbeaten run at St.Andrews was ended in dismal fashion on Saturday afternoon. Despite the game being so forgetful, Blues were left frustrated during a game that saw Lukas Jutkiewicz hit the post, two clear penalty shouts turned down and Famara Diedhiou score with one of only two meaningful Bristol City efforts at goal. A rain-soaked St.Andrews was home to a drab first-half only lit up briefly by a Maxime Colin goal-line clearance and and a penalty shout. The second half didn’t start much better and it was the visitors that took full advantage, Famara Diedhiou heading the only goal of the game. Blues tried to respond but Adams saw two more penalty shouts turned down and Lukas Jutkiewicz found the post and goalkeeper Niki Maenpaa in his way. A dull day, a dull result. The big news prior to the game was the return of Jota but when the squads were named, the Spaniard was left out. 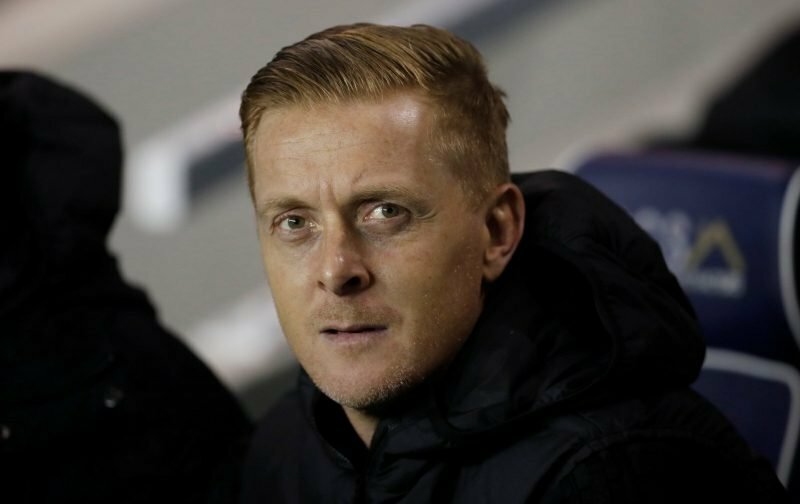 It meant that Garry Monk again named a completely unchanged 18 for the visit of Bristol City with Viv Solomon-Otabor still missing from the squad. Lee Johnson was afforded the same luxury as Monk, the performance against Millwall sufficient enough for Johnson to decide against making a change to his side. Considering my preview contained references to Bristol City and Blues bringing the best out of each other, this was one of the worst games of football witnessed at St.Andrews for a long while. Both sides lacked energy. Both sides were wasteful in possession. Both sets of attackers lacked confidence. It was an awful watch. The first half hour saw only two notable incidents. Tomas Kalas’ half volley was well struck but cleared off the line by Maxime Colin. The Bristol City defence later parted like the red sea and Maghoma eventually tried making the most of it, being clipped in the area. The referee waved play on, Blues were left asking the question. It took Lloyd Kelly’s aggressive shove on Colin to get the crowd going, the French full-back ending up in the hoardings and supporters baying for blood. Adams flicked a header onto the roof of the net, Dean forced Maenpaa to tip a powerful header over the bar and the Blues centre-half later showed his anger by putting in a very aggressive challenge on the England U21 full-back. For a moment, the game had opened up. Pedersen did well to turn a low cross behind, Mahoney volleyed over from Jutkiewicz’s knockdown and as the rain began to fall, Diedhiou fired over the bar. Nothing on the pitch was able to warm up the cockles of those in the stands. The second half had to be better. The second half was not much better than the first. If it wasn’t for some early handbags, there wouldn’t have been a murmur from any of the four stands. It was woeful. Bristol City were laughably bad. Blues weren’t much better. Marlon Pack fired over from distance and Che Adams couldn’t test Maenpaa sufficiently from a tight angle. When Mahoney did well on the right to find Jutkiewicz at the back post but the header back into the danger area found nobody. The frustration was growing. And then it happened. Kristian Pedersen’s header was needlessly wayward, sent behind for a corner. Callum O’Dowda’s delivery to the near post wasn’t cut out and Farama Diedhiou was too strong for Harlee Dean, getting above the Blues centre-half and nodding into past Lee Camp. Conceded sloppily, defended weakly. It summed up the state of the game. It took Blues ten minutes or so, but the response finally came. The crowd got going as the players finally started playing on the front foot. The problem was that the renewed energy was brought about more in hope than ruthless calculation. Che Adams was booked for diving despite being adamant he was fouled. Monk knew something had to change and made the most of his limited options from the bench. He replaced Kieftenbeld for Harding, pushed Colin forward and Maghoma into the middle of the field. He needed a midfield more capable of keeping the ball and moving it quickly. Adams and Mahoney got more involved and Blues sustained attacks more consistently. Three minutes after the change, Blues had their best chance of the entire afternoon. Connor Mahoney’s left-foot cross was perfect and Jutkiewicz obliged, beating two Bristol City defenders to the ball but left to watch the ball bounce off the inside of the post and out to be cleared. With our burly number 10 and his strike partner on the field, Blues always had a chance of getting back into the game. Jutkiewicz first headed wide from another fine Mahoney delivery. Adams was then the subject of another penalty shout that wasn’t given. Blues were getting more desperate but playing much better. Time was running out then Bristol City panicked, giving a free-kick away on the edge of the box, Adams proving too sharp for Adam Webster. Twenty-yards out. Mahoney rolled the ball between Maghoma’s legs. Jutkiewicz threw his left-boot at the ball. One deflection. Two deflection. Into Maenpaa’s grateful arms as four Blues players waited for a spill. Bristol City had held on. Blues were left defeated. When you witness such a low-quality display, you want to get angry and unload your frustration. However, how many times have this Blues side let us down this season? And when you consider that even on a bad day, we still hit the post, limited the opposition to just two meaningful efforts at goal and probably could have had two penalties, it maybe wasn’t as bad as first anticipated. It was a horrible game to watch. This was two sides incapable of moving the ball with any confidence or quality, who lacked forward runners, whose central midfielders rarely left their defensive third and with the ball so often being given away or knocked out of play, it was difficult for any momentum to be generated on either side. No player on either side looked capable of dragging the game by the scruff of its neck. Defences were most certainly on top. From a Blues perspective, Famara Diedhiou was given one opportunity all game and took it, a header from a set-piece. Otherwise, Michael Morrison, Harlee Dean and Marc Roberts were comfortable. Kristian Pedersen wasn’t troubled. Maxime Colin marked his man out of the game. It was relatively easy. From a Bristol City perspective, it was evidence that Marlon Pack had been instructed to stand on the toes of Lukas Jutkiewicz and deny the Blues number 10 the chance to get the ball under control and dominate as he so often does. With Gary Gardner and Maikel Kieftenbeld often so deep, the visitors were picking up second balls and then putting it back out of play, Eric Pisano often watching the ball fly over his head. It’s easy to be critical but this Blues side have responded so many times to setbacks under Monk that to right them off would be silly. We have two big away games coming up against Blackburn Rovers and Wigan Athletic. A victory against either of those will be tricky, but it would leave us just shy of the play-off positions coming into Christmas. That is a remarkable achievement. On a difficult day for Blues, Maxime Colin can at least walk away with his pride intact. The French full-back gave Nicolas Eliasson so little that the winger was hooked before the hour and his confidence in possession was a rarity in a game that Blues badly struggled for a foothold in. Blues must forget about winning matches 1-0 ….if you don’t have enough shots on target you ain’t going to win .. and at the back when one fullback goes on attack then the fullback on the other side must come in to make a 3 at the back formation …we must keep getting the ball in the box .., and we must keep shooting mostly at short distance in the box ….